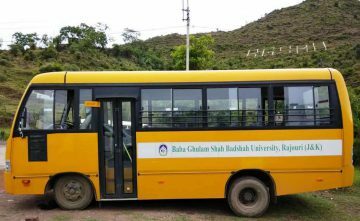 The University has good number of buses which are made available to the students and faculty members for commuting from various points in the city and also from the suburbs to the campus and back. All students should make use of the Univesity Transport or should stay in the hostek. This facility has made it possible to start the classes in time and thereby helping the academic process. Our bus facilities have enabled us to maintain discipline among students. All the buses started from the Campus 8:00 am, The buses leave the Campus at 5 :00 pm , which helps all the students to reach home early and safely. For the benefit of those students who attending special classes, events etc., special buses are arranged.